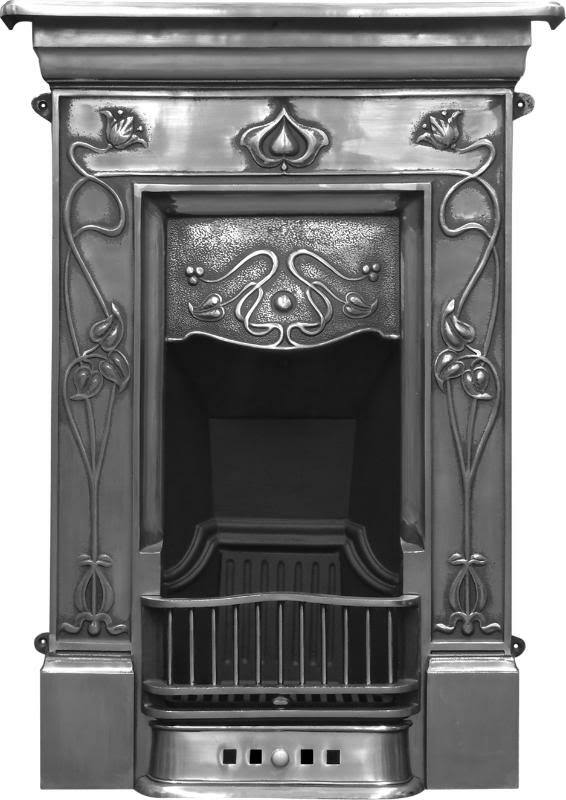 The Crocus is an Art Nouveau Cast Iron Fireplace with a curved canopy. 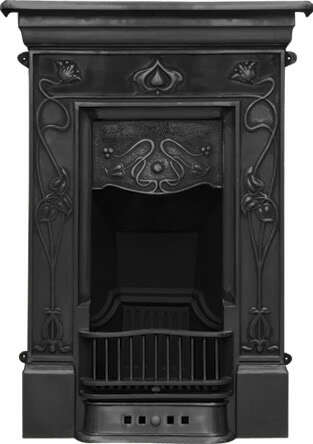 Our Cast Iron Fireplaces are available in black and full polish. 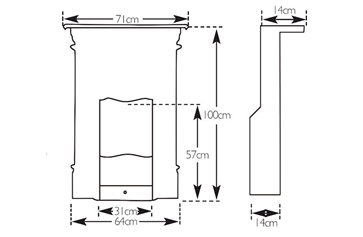 Part of Carron fireplaces range. Suitable for solid fuel or gas. For solid fuel use you will need an ashpan. Also available is a Nu-Flame gas insert, which creates a coal effect fire with coals and real flames. To add to order select from options on right hand side. I ordered this for our bedroom, arrived next day, cant fault Period House, really friendly people to deal with.